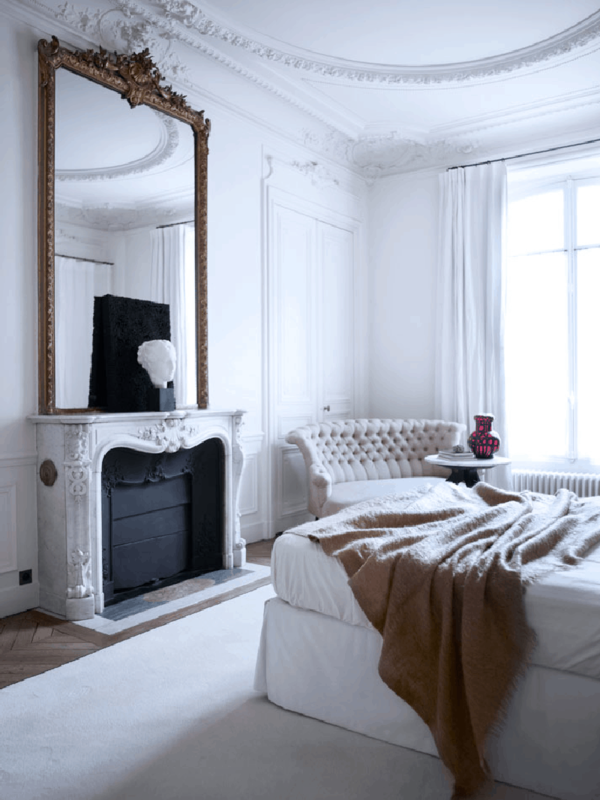 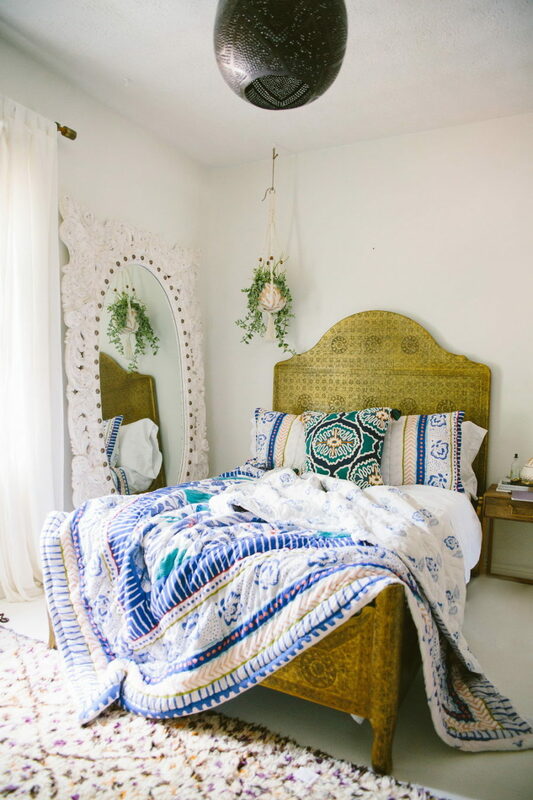 A bedroom mirror is one of those decor accents that can do a lot of things at once. 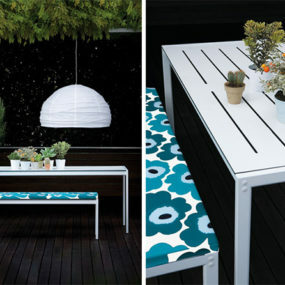 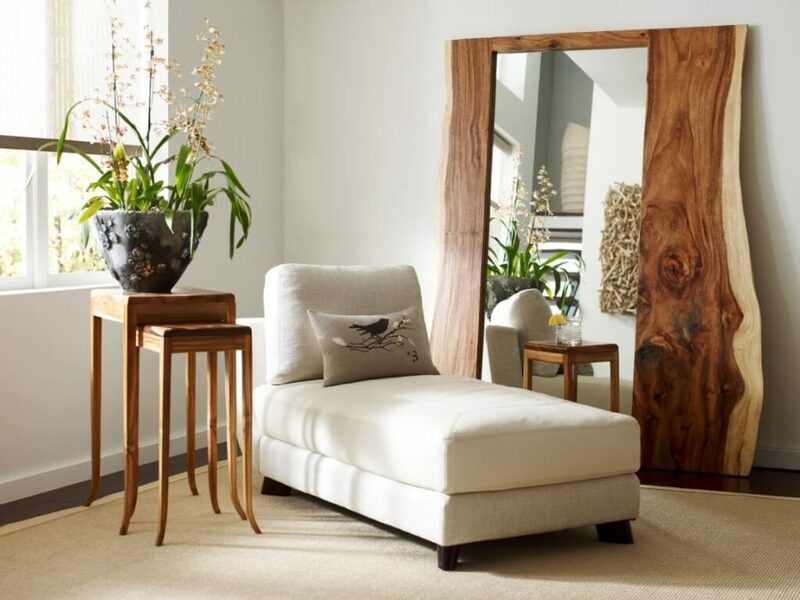 It can make you a dressing area, visually enhance your interior, and add decorative value to your sleeping quarters. 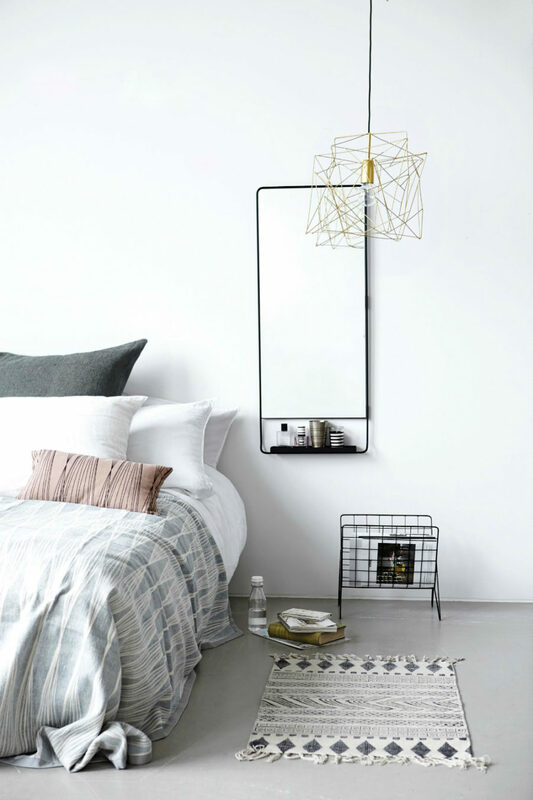 Modern bedroom mirror designs are so versatile, they can do all of these things and then some. 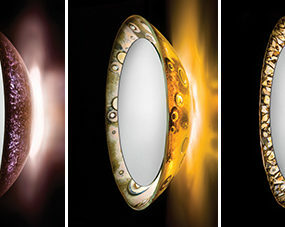 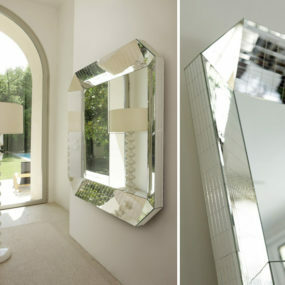 Take a look at the line of very different mirrors to see how much you can do with them in interior design. 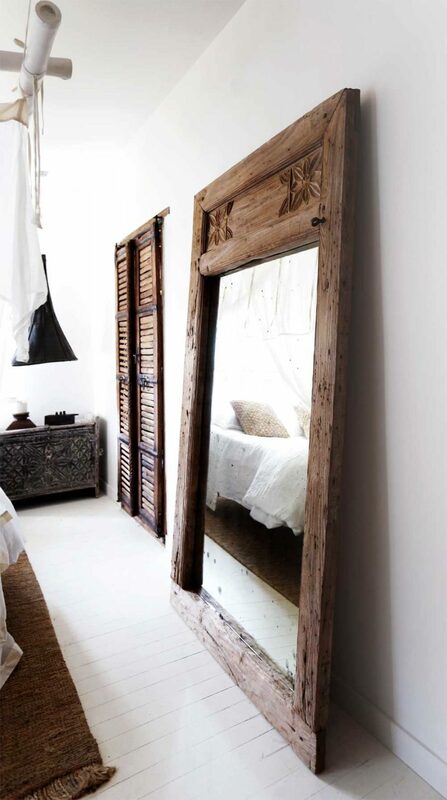 A wardrobe door is the best place for a full-sized mirror. 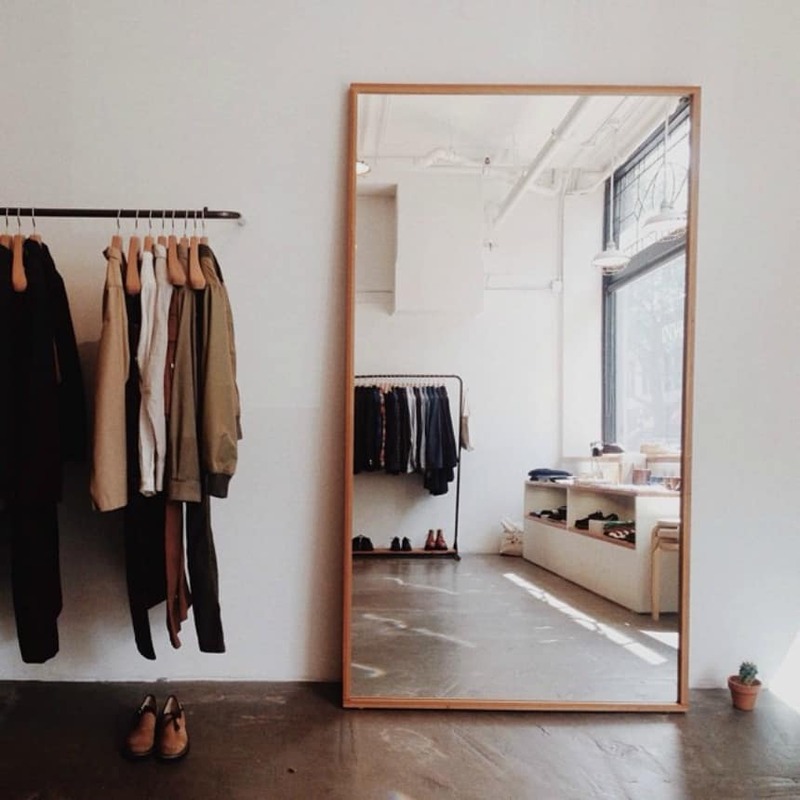 It is fixed and convenient, and all of your outfits are within reach. 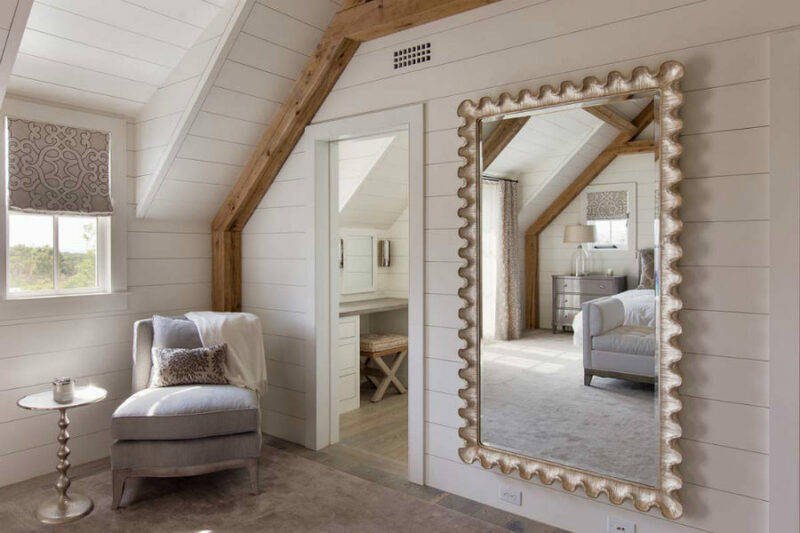 If you want your room to appear a bit wider, you may also replace a regular bathroom door with a mirrored barn door. 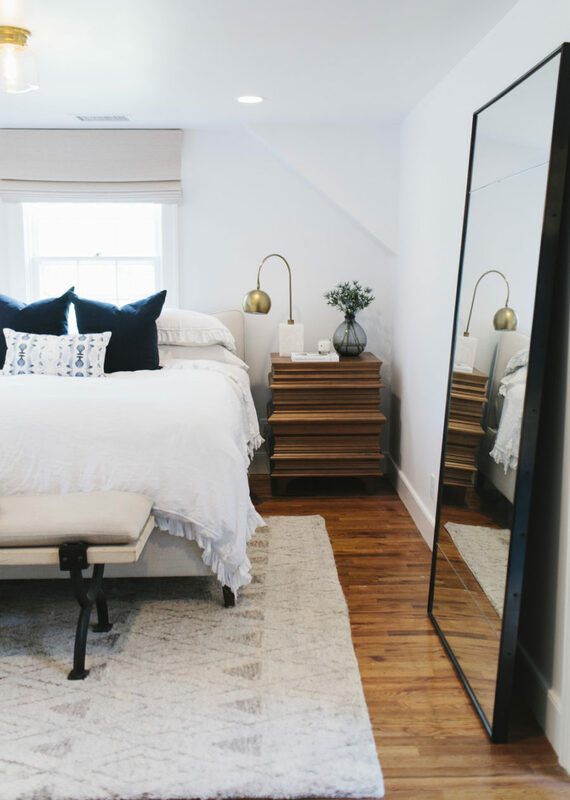 Bedroom by Jennifer Post Design Inc. 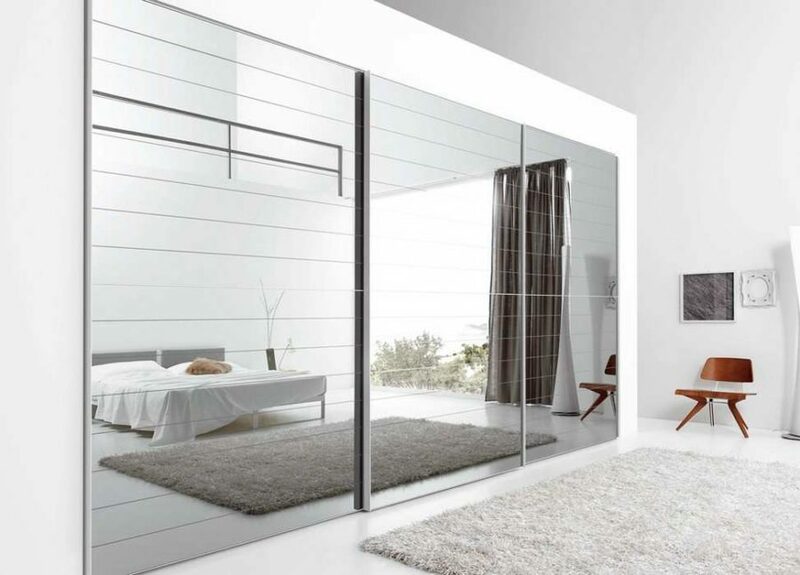 While big mirrors may seem impractical and high-maintenance, slim sliding doors simply won’t give you as much visual expansion as wall-to-wall designs. 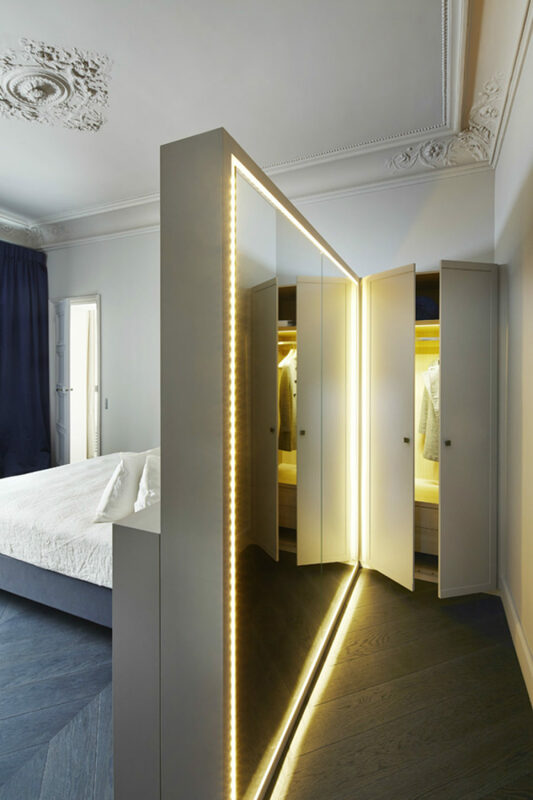 A great solution for a narrow bedroom would be a wardrobe stretching across an entire wide wall clad in a mirror. 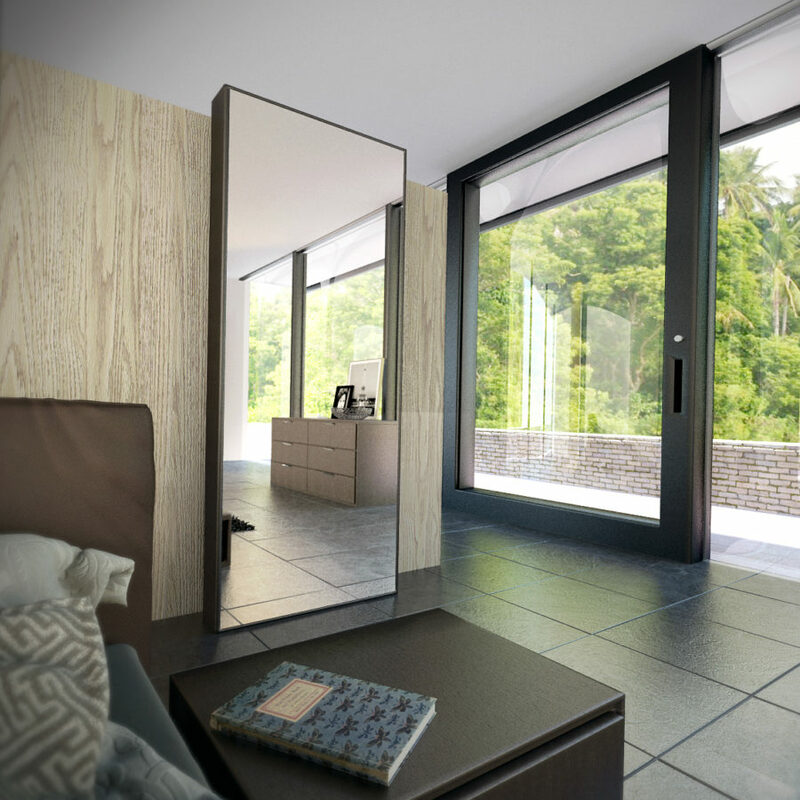 Freestanding mirrors have their advantage before the fixed wardrobe doors – they are mobile. 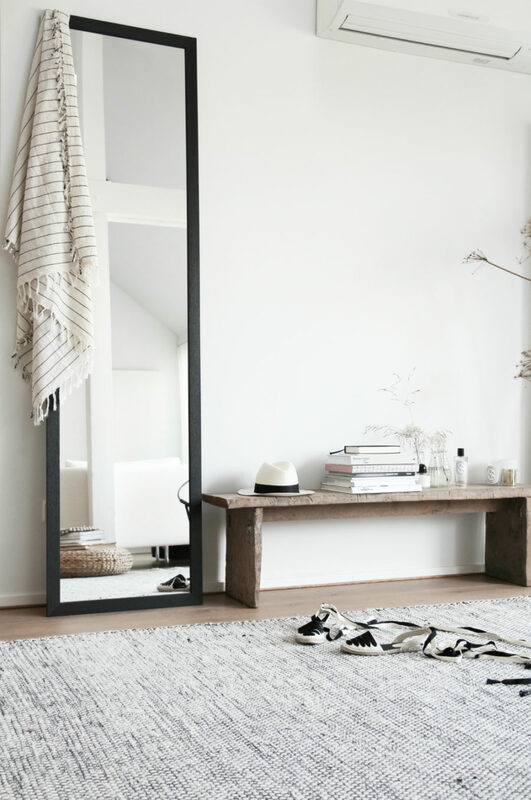 You can easily reshuffle furniture whenever you like and move a freestanding mirror with it. 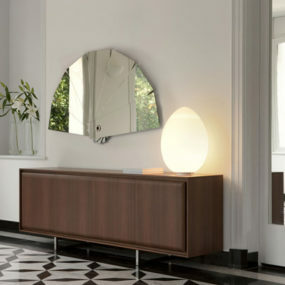 You may change the mirror placement according with the time of day, if necessary, to get the best light. 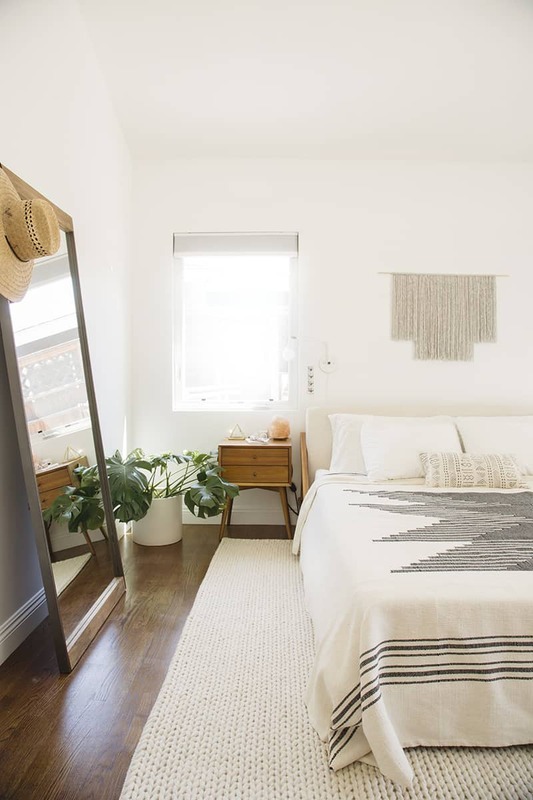 Also, the lack of holes in the walls will be very much appreciated by your landlord, we’re sure. 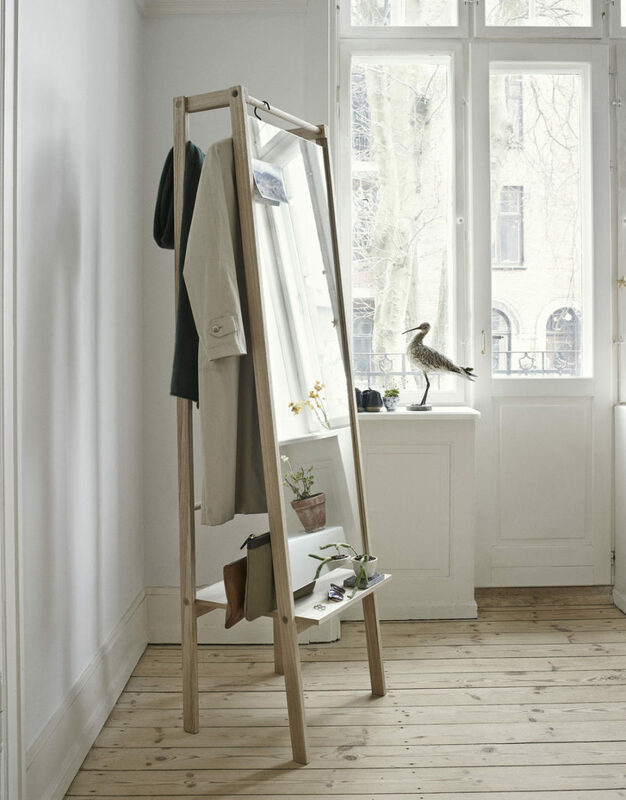 Some freestanding mirrors come with additional storage, which is useful for preparing ironed, creaseless outfits in advance. 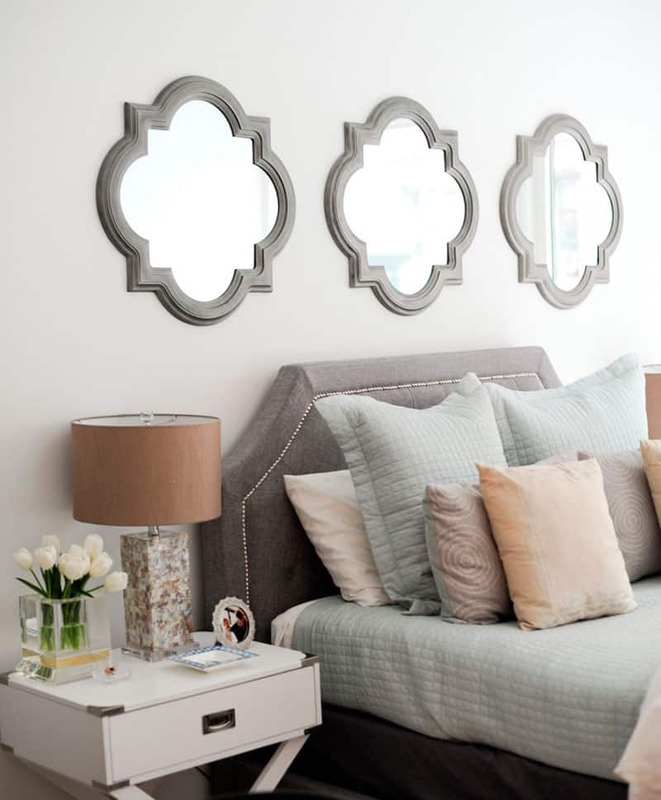 Mirrors make for great decor in a bedroom. 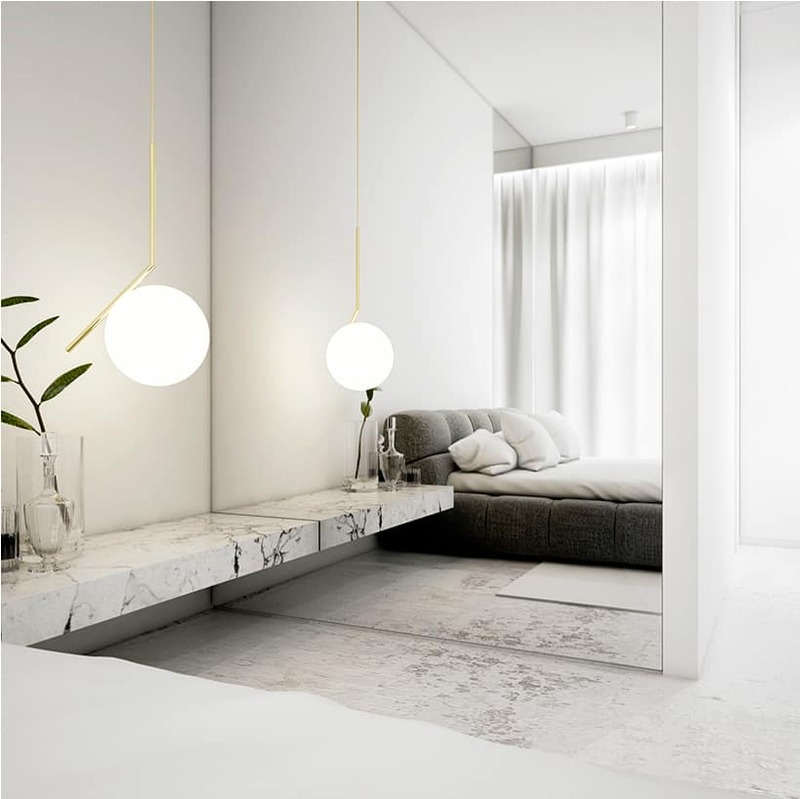 And since they don’t really set the tone for the whole interior, you may just go for the design you really like. 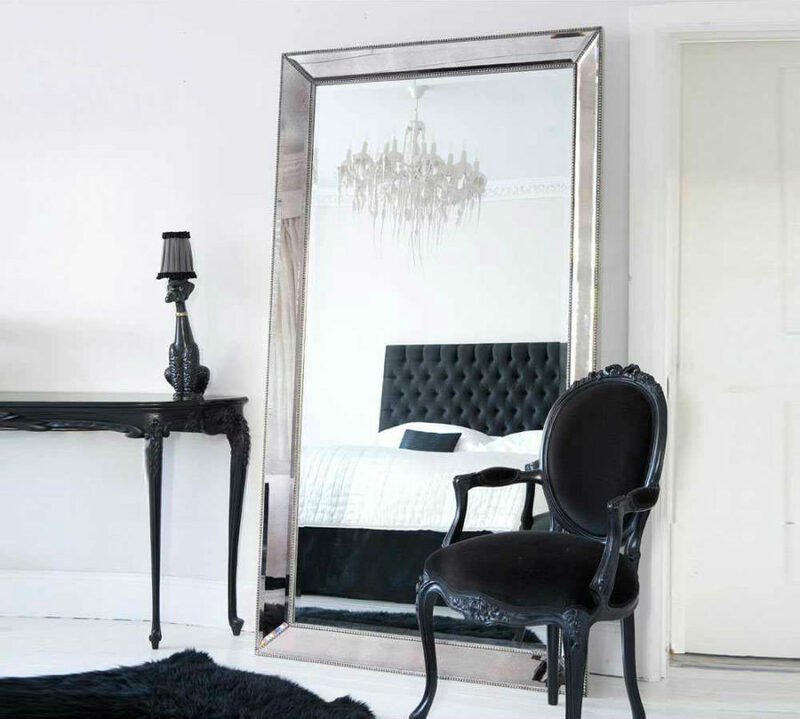 There is a lot of creative ideas to be found in modern bedroom mirror designs. 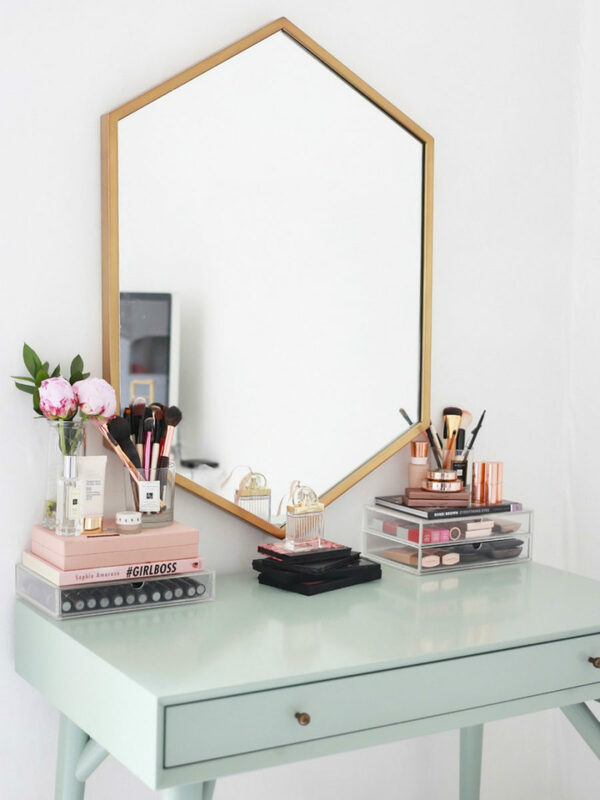 Frames come in beautiful golden brass and rose gold. 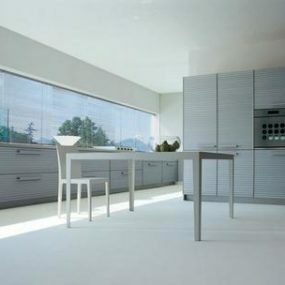 And the shapes vary from simple geometry to intricate free flowing form. 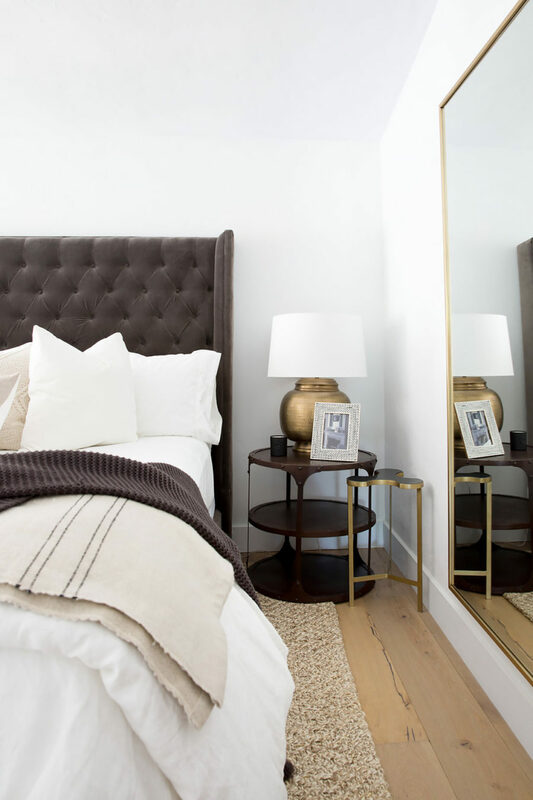 In addition, a different mirror tint may become an unexpected, fresh color accent in modern bedroom decor. 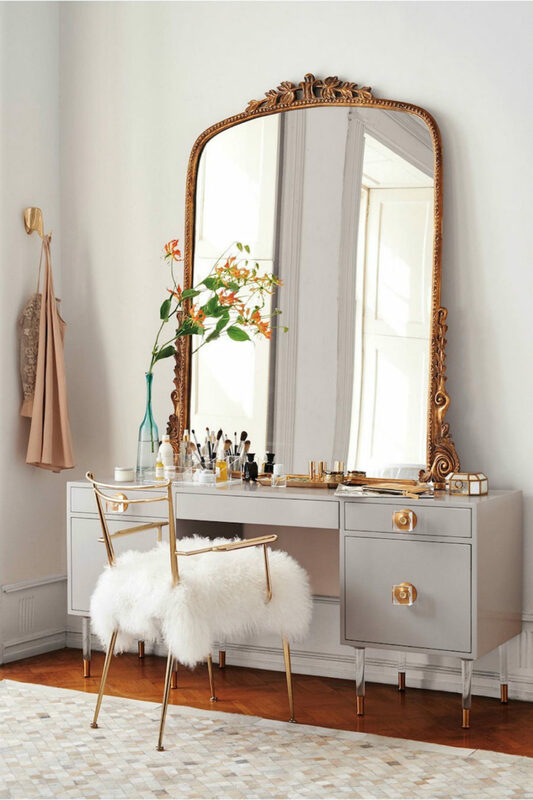 Dressing mirrors, usually, look impressive only because they can reflect a full-sized adult. 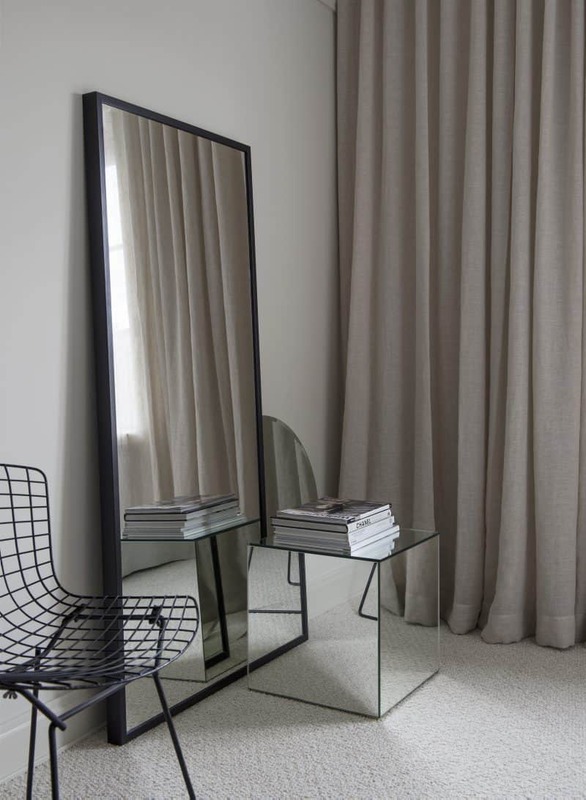 The simplicity of style allows less distraction from your outfit as well as works better with minimalist modern and contemporary styles. 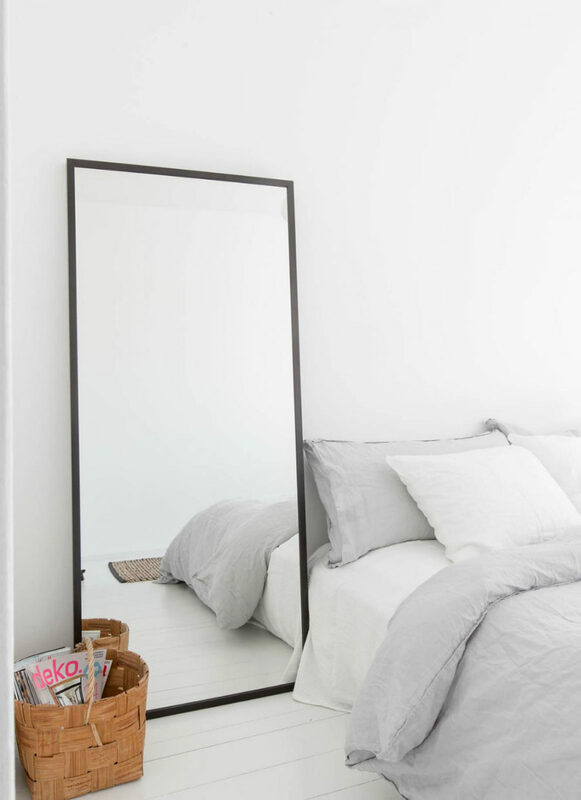 A clothing rack and a full-sized mirror make for a very fashionable and convenient dressing area in the bedroom. 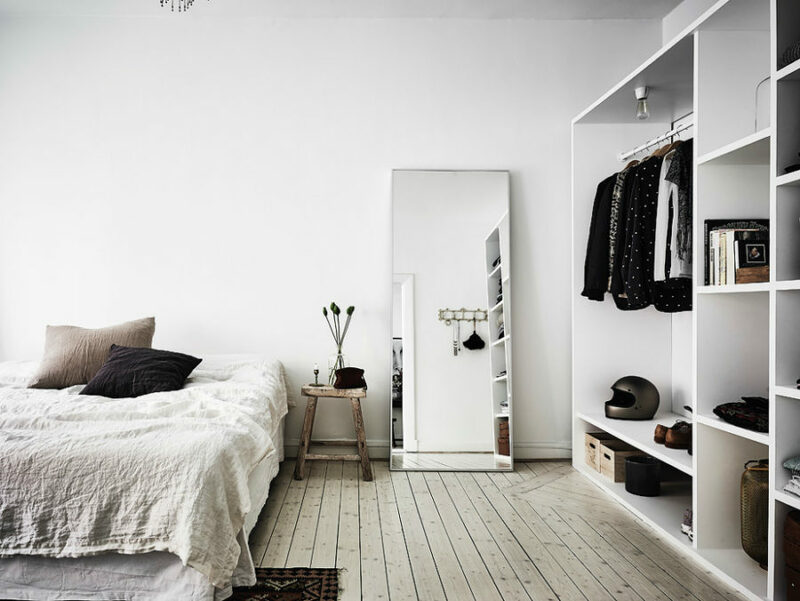 You can, of course, simply hang a coat rack to keep a few items nearby, while hiding the bulk of the clothes inside a closed wardrobe. 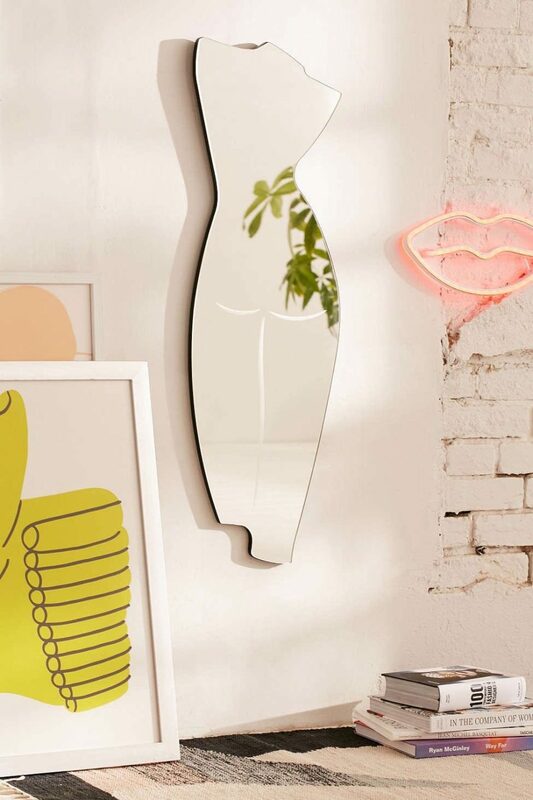 If you’re after a specific style for your bedroom, creative mirror designs may come in handy. 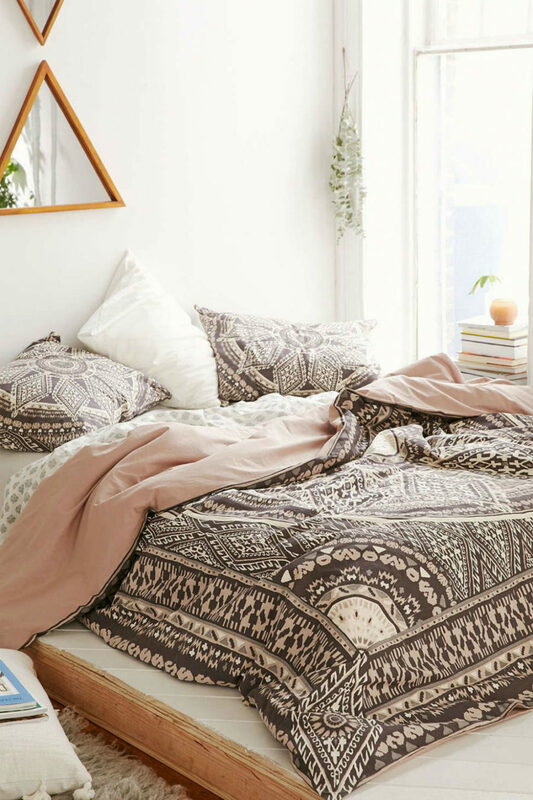 There are a lot of options to choose from. 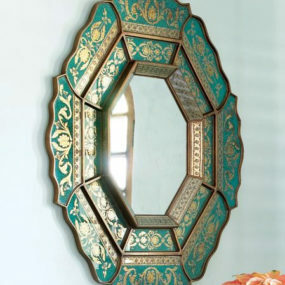 While mirrors can come in more intricate shapes than regular circles and rectangles, it is the frames that can really make your mirror stand out. 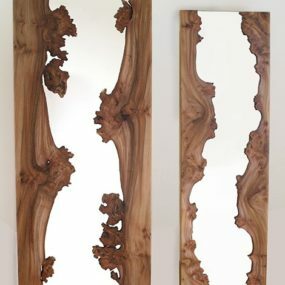 From live edge to golden brass to polymer clay, frame designs can give you much more diversity of style and element. 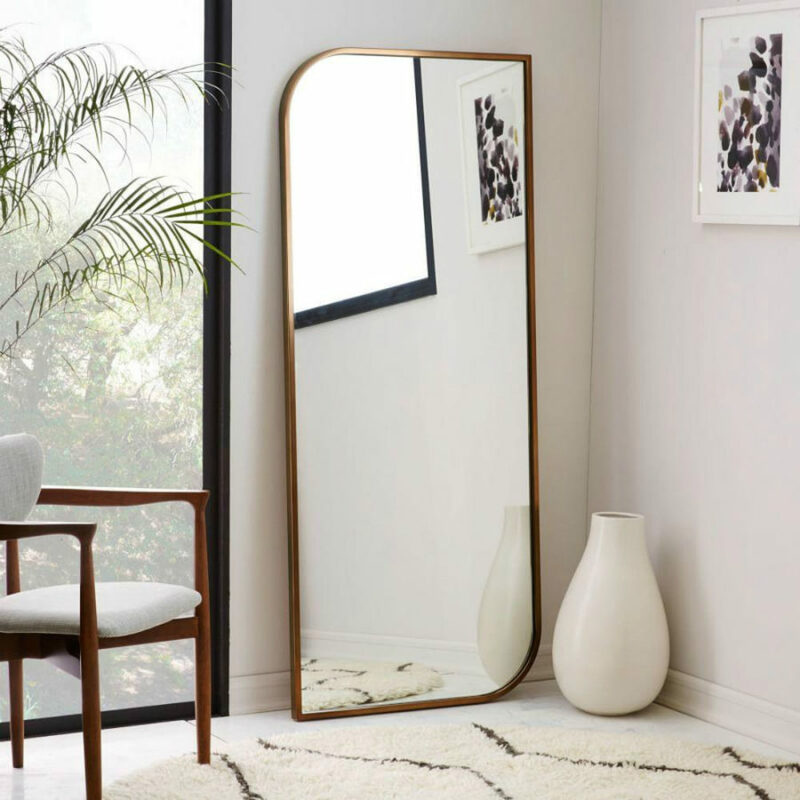 When it comes to mirrors arrangement, you don’t want to over or under-decorate. 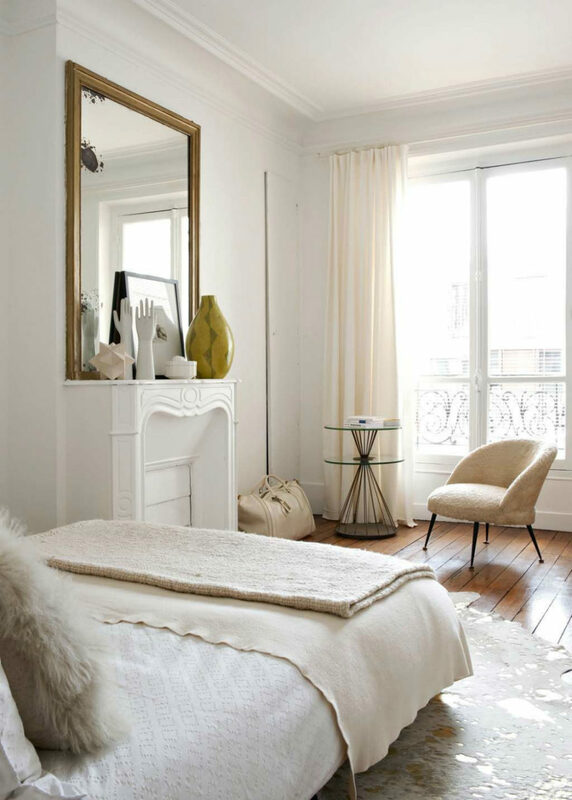 Pick a few elements that you may need near your mirror or that simply look good together. 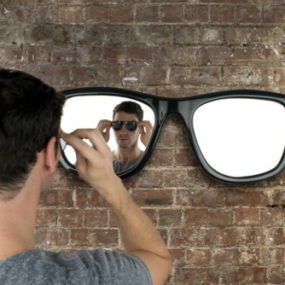 Make sure they are all of the different size. 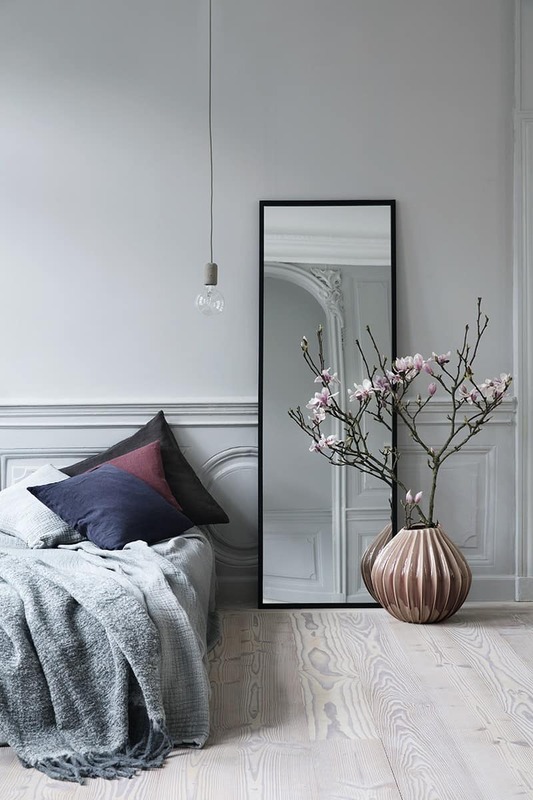 Arranging a few mirrors may not be most practical but it certainly looks unusual, especially if all of them have different tints. 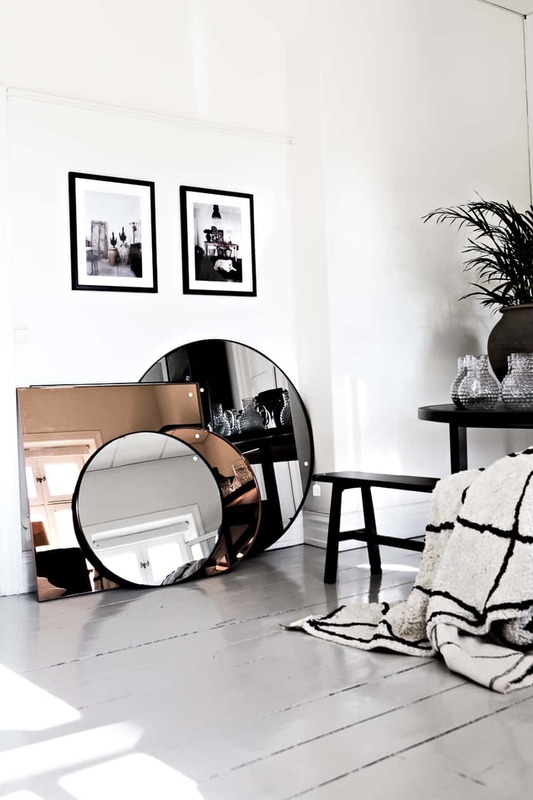 Pairing a mirror and a decorative pendant is always a good idea. 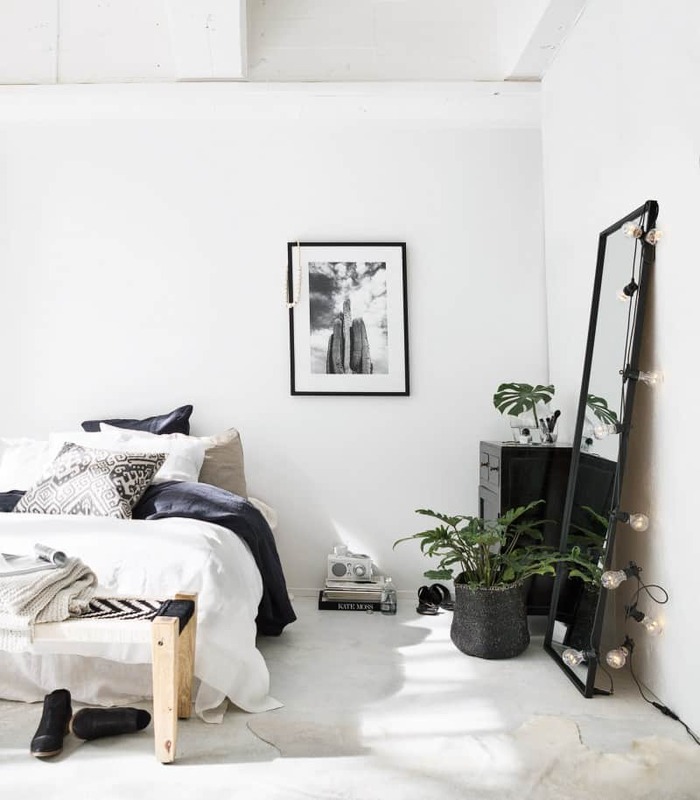 But if your big mirror is hanging on the wall, it might be better left alone. 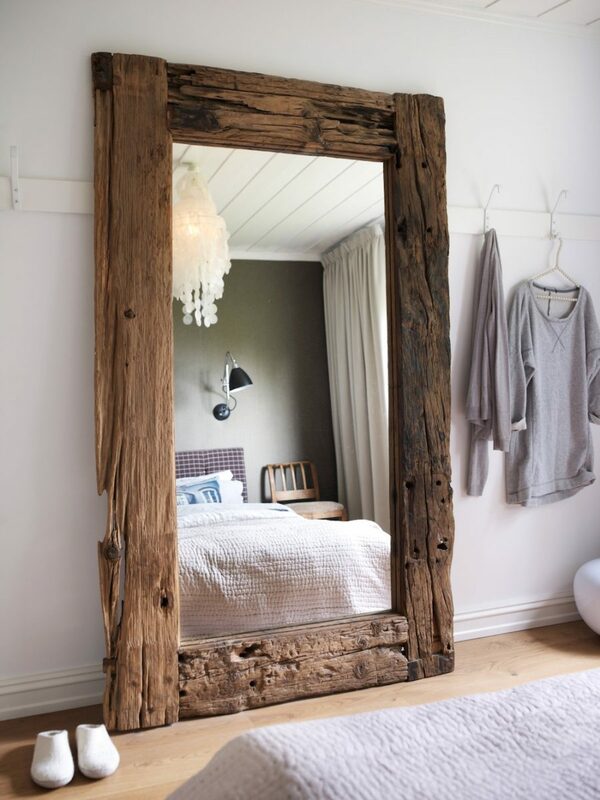 A bedroom mirror feature isn’t always a purely decorative thing. 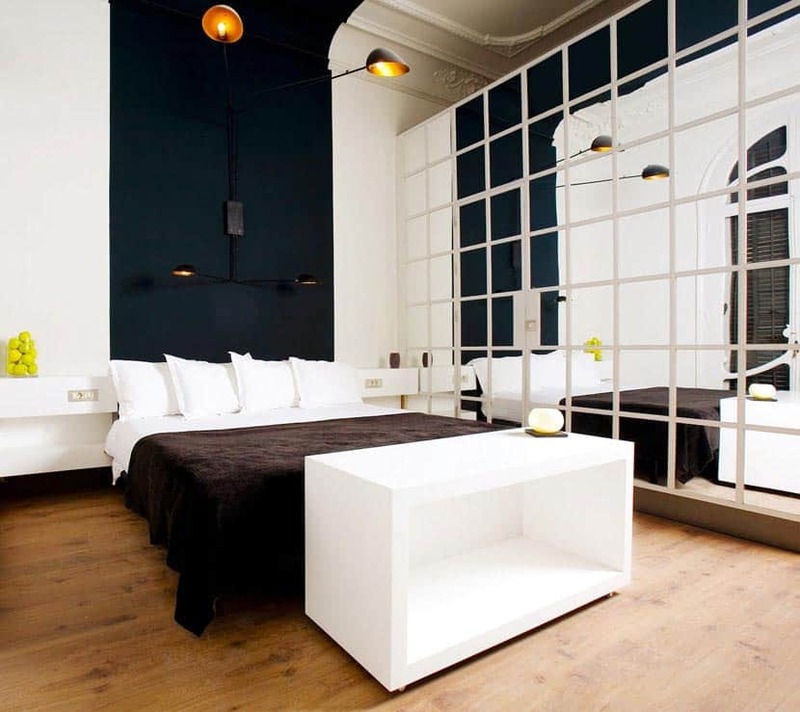 Sarah Lavoine and Monika Siwińska did a great job combining Haute aesthetic and function but in a Hotel Praktik Rambla in Barcelona, the mirror-tiled feature wall is nothing more than a design element. 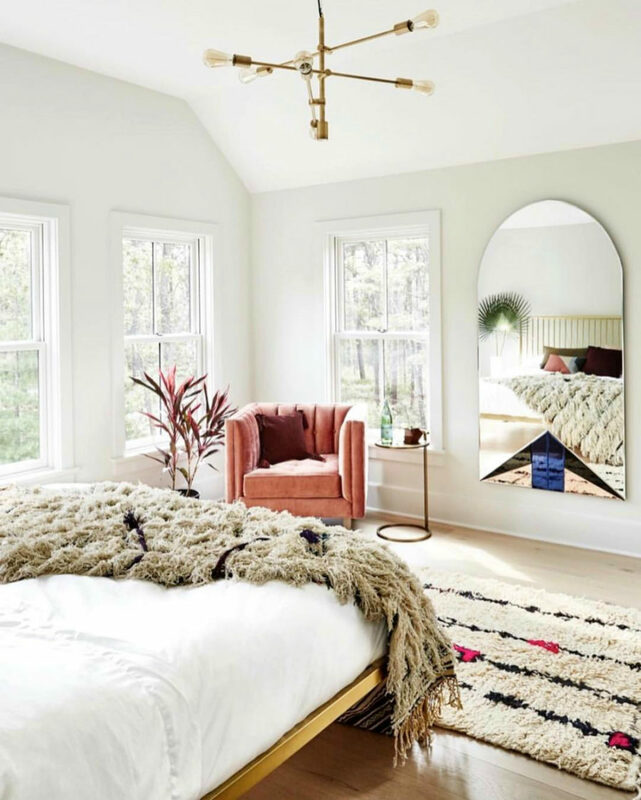 Contemporary Cottage by Jonathan Raith, Inc.
A creative frame or even a string of lights can turn a functional mirror into a feature that can’t be easily ignored. 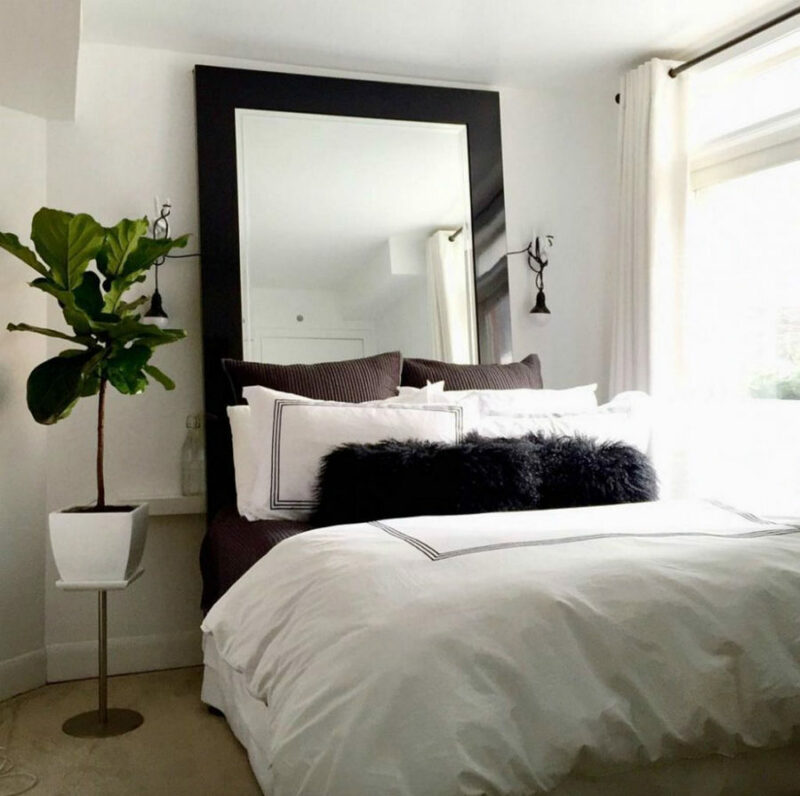 Take advantage of those or create an arrangement around it, if you want to attract attention. 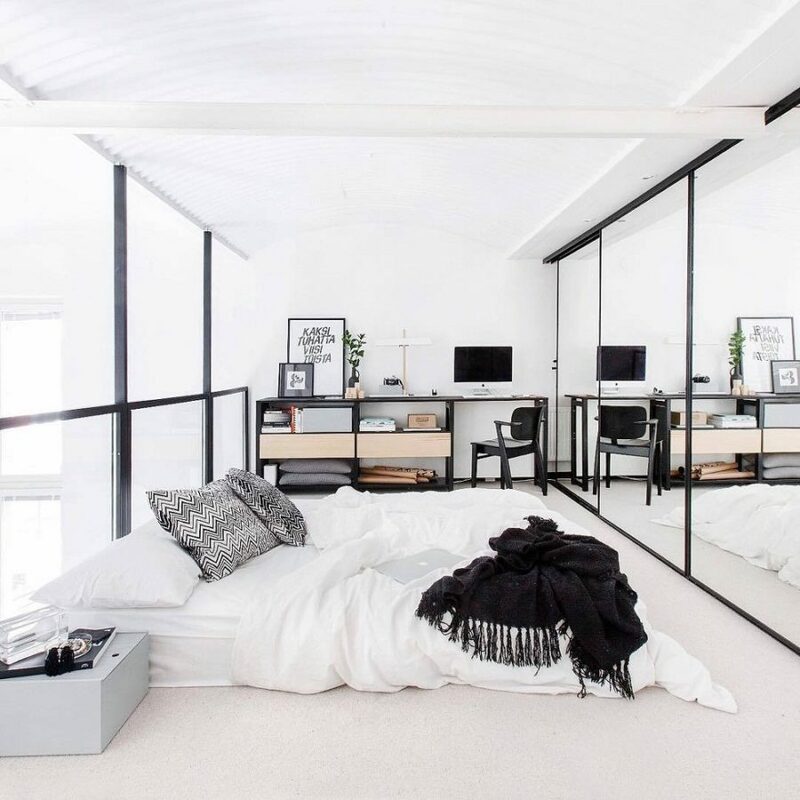 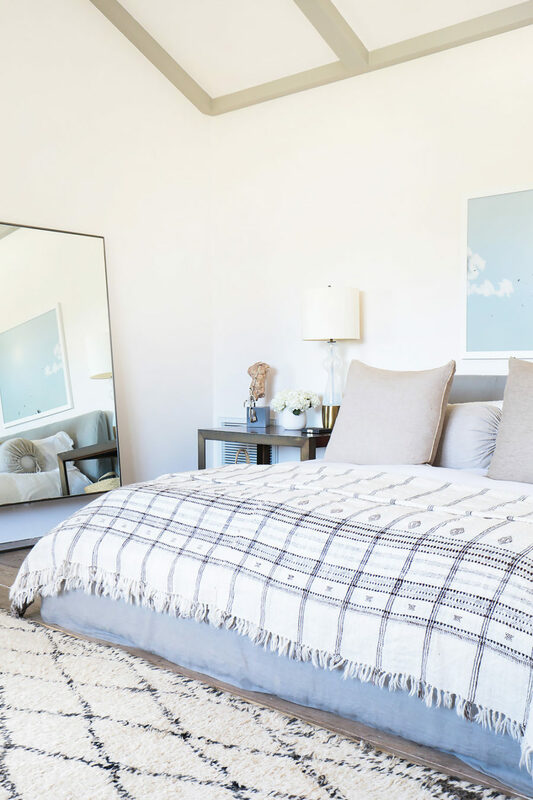 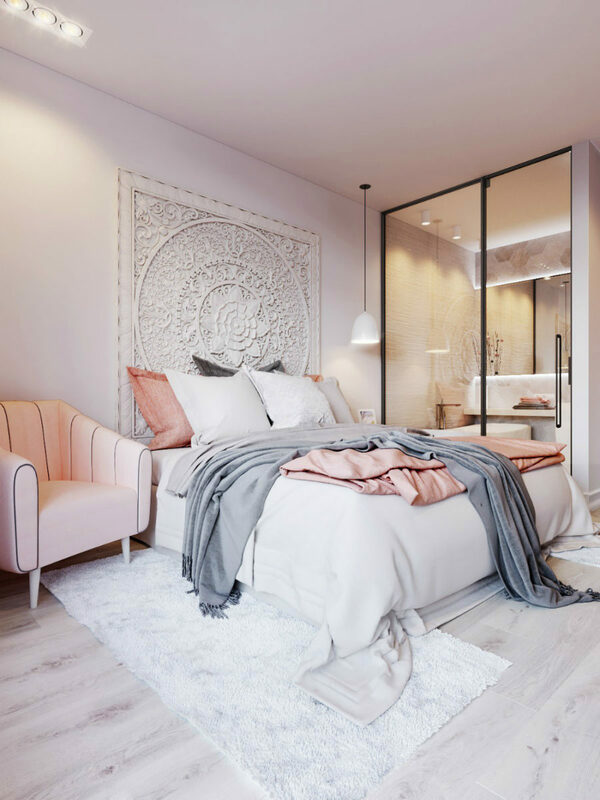 There is more than one way to use a mirror in a bedroom, and with modern bedroom mirror designs it’s become a neverending quest for perfection.